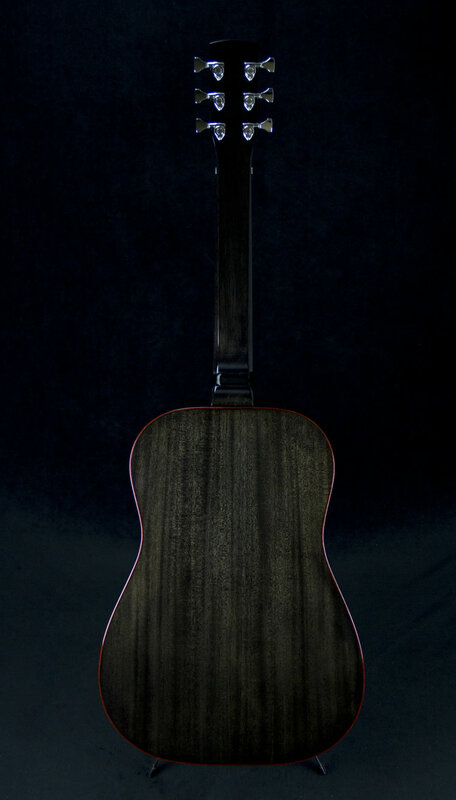 Abbie Gardner's custom E Model features solid Mahogany top, back and sides and stained curly Sapele binding. 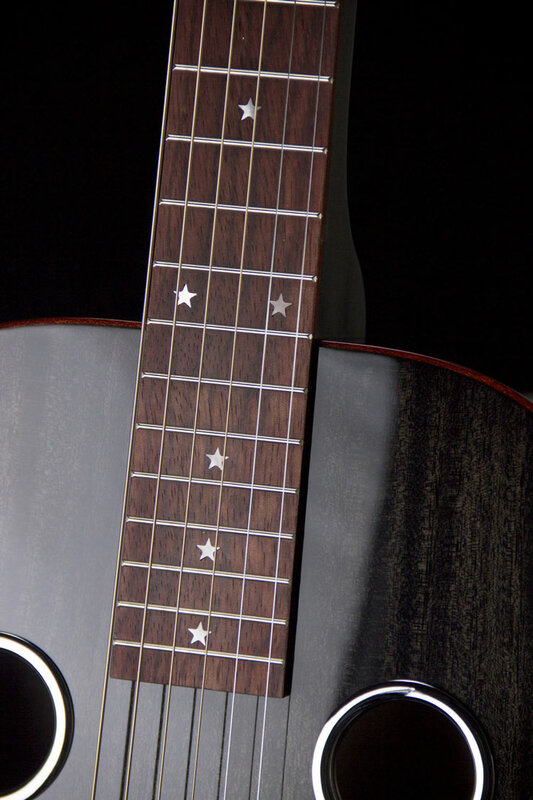 The custom Bubinga fretboard features unique star inlays. Abbie had us install the Fishman Nashville Series pickup and the brand new Hipshot Double Shot system. For more on Abbie and her band Red Molly Click here. 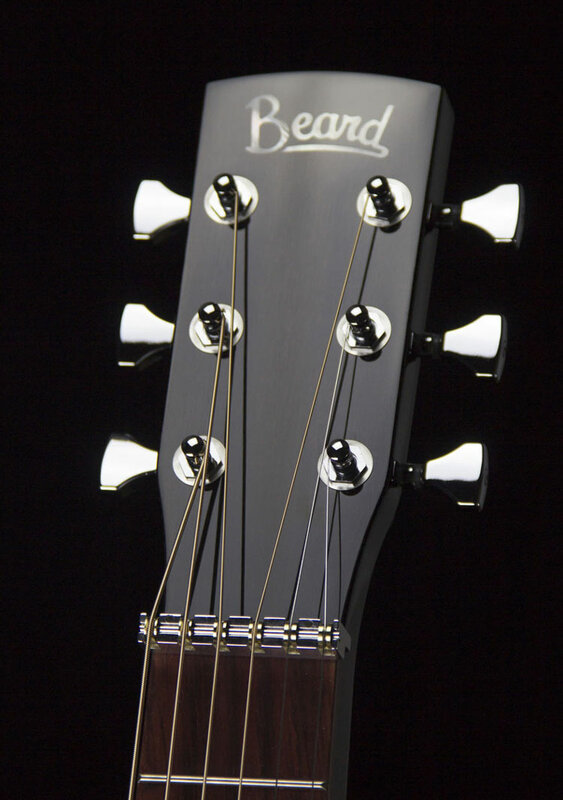 Click here for general E Model Specs.